While wandering aimlessly around New York I ran into Burger Heaven (there are 2 more around town). I figured I would give it a shot. After being seated I looked at the paper placemat in front of me. It was all about the Celebrity Apprentice episode featuring Burger Heaven. After having watched the episode and seeing the Donald refer to Burger Heaven as a diner, I’m in agreement. It doesn’t have a Burger Joint feel but more of a diner with all the counter stools and booths. Although it was a much more sleek looking Diner than what you normally get in South Florida. This particular location has a second floor. There is Breakfast on the menu (served till 11AM) and Homemade Chili that was calling my name ( I didn’t get it). I ordered the Classic Beef Burger, cooked Medium with American Cheese and a side of Fries of course. It took about 10 minutes from when I placed the order to when I received the Burger. I had asked for Mayo on the burger but instead, I was served a plate with a couple of Pickle Spears, Red Onion and a packet of Mayo. The Burger was cooked perfectly and the taste was reminiscent of what is a great satisfying Diner type Burger. The Fries were delicious which is great since the Burger didn’t really break new ground for me. 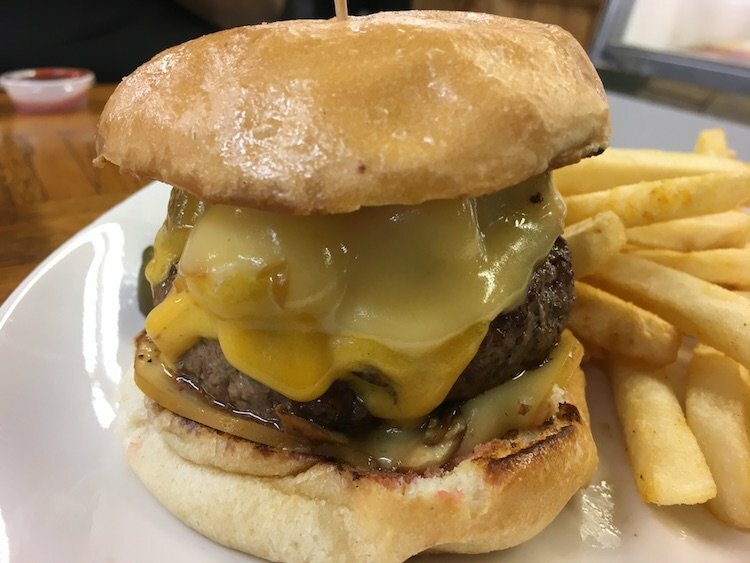 Fantastic rare cheeseburger, good service, very clean. Will most definitely return for a second visit.